BHP has bolstered its executive leadership team with four appointments, including the addition of three women. 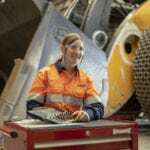 The mining major set an ambitious target of making half of its workforce female by 2025 more than two years ago. It is now closing in on this target, at least in terms of its leadership team, which will feature six men and five women with the latest appointments. 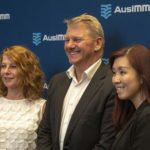 Geraldine Slattery (president operations petroleum), Vandita Pant (chief commercial officer) and Laura Tyler (chief geoscientist) join Jonathan Price (chief transformation officer) as the new members of the team. From March 18, Slattery will lead BHP’s petroleum business, which includes oil and gas interests, and development and exploration programs in the United States, Australia, Mexico and Canada. Pant, who brings global financial market and business development experience to her new role, will start as chief commercial officer on July 1. Tyler will continue in her role as Olympic Dam asset president. 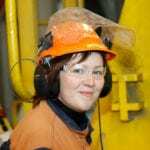 She will also re-join the executive leadership team from tomorrow as chief geoscientist to bring a focus on geoscience and resource engineering risk management. Price, currently transformation director, will assume the role of chief transformation officer from tomorrow and join the executive leadership team. The new appointees complement a leadership team that includes chief executive Andrew Mackenzie, Peter Beaven, Geoff Healy, Mike Henry, Diane Jurgens, Danny Malchuk and Athalie Williams. Mackenzie said the management changes were an important step as the company planned for the future. “The elevation of geoscience and transformation to the executive leadership team demonstrates the determination we have to advance the best science, technology and people to make our operations safer and more productive,” Mackenzie said. 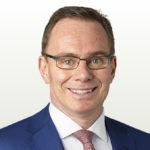 Arnoud Balhuizen is finishing as the company’s chief commercial officer and will return to the Netherlands after 25 years with Billiton and BHP. Following the divestment of BHP’s US Onshore assets, Steve Pastor, has decided to leave the company.